Made of high quality ABS plastic with a high polish finish, authentic proportions and details, plus working LED lights! A unique clamshell hinge allows the front and back half of the helmet to easily open up to comfortably fit your head inside the soft padded interior for a perfect fit. 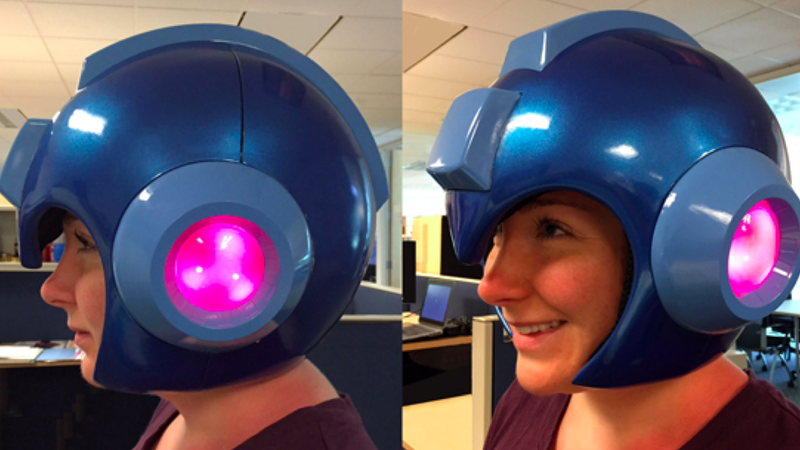 The price for the Mega Man Helmet has not been stated yet, along with when it’ll go up for pre-order, though it will be up on Capcom’s store. It’s noted that the helmet will have a limited window to pre-order. Information on Capcom’s other SDCC items can be found here on Capcom Unity.